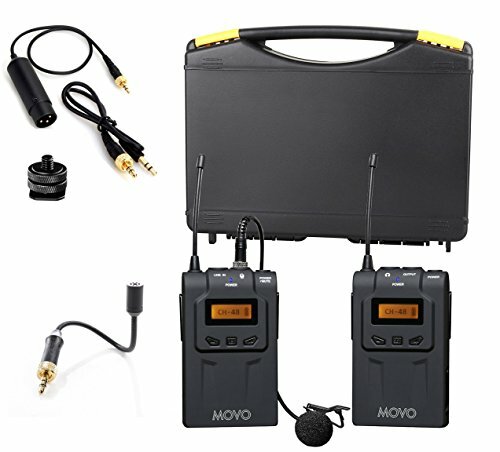 The Movo WMIC70 delivers the latest in professional-quality audio capture at an unbelievable price. Engineered to be exceptionally reliable, and with professional features such as headphone monitoring, line input, and frequency agility, the WMIC70 is ideal for EFP (electronic field production), film work, performances and other audio or video applications. This system operates in the UHF 500 MHz bandwidth. The system includes a transmitter with belt clip, receiver with camera mount, mic clip & windscreen, and XLR & 3.5mm cables.